Woohoo! A brand new work by Copacetic fave David Collier is sizzling hot off the press and waiting for you. We haven't had the chance to do more than crack it open, but even a cursory glance is enough to see that this is classic Collier through and through. 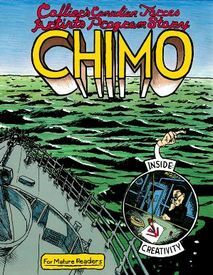 As we can't wait to announce this book's arrival, we're going to step aside for a moment to let someone who has read it, and knows a little something about comics, share their opinion: "Chimo is an idiosyncratic, compelling and hilarious musing-in-comics that I couldn't put down. 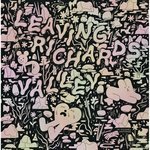 Seemingly a quirky memoir about soldiering, it's really a quest for survival – both basic and artistic – and a meditation on aging, family and the fight to simply try and understand oneself, all told by one of the most unpretentious cartoonists in North American. There's an eye for mundane detail and a sort of animal fear running through it all that leaves one shaken yet oddly refreshed. It's unlike anything I've read before. I loved it." - Chris Ware. Since premiering in R. Crumb's Weirdo over twenty years ago, Collier can be credited with pioneering a wide swath of non-fiction comics, including comics biography, comics history, sketchbook comics, autobio comics, anecdotal comics and more. Working out of humble Hamilton, Ontario, David Collier has quietly been building one of the most significant bodies of work in comics.